For my birthday I got an oddly large amount of navy and pink gifts! So, I've been loving wearing all of my new goodies recently. I am for sure one of those people that wears all of her new purchases or gifts all at once right away. Waiting just isn't in my nature when it comes to new accessories and clothing! 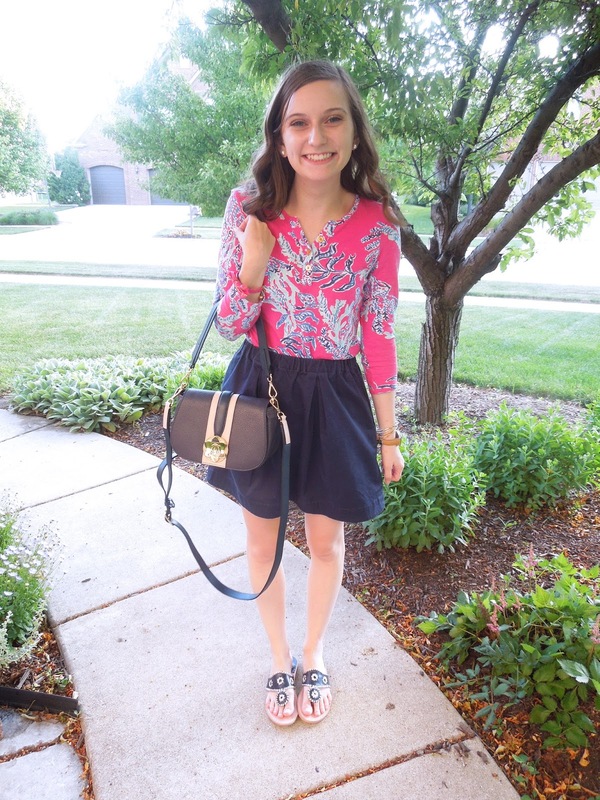 I paired one of my favorite Lilly tops with a simple navy skirt. 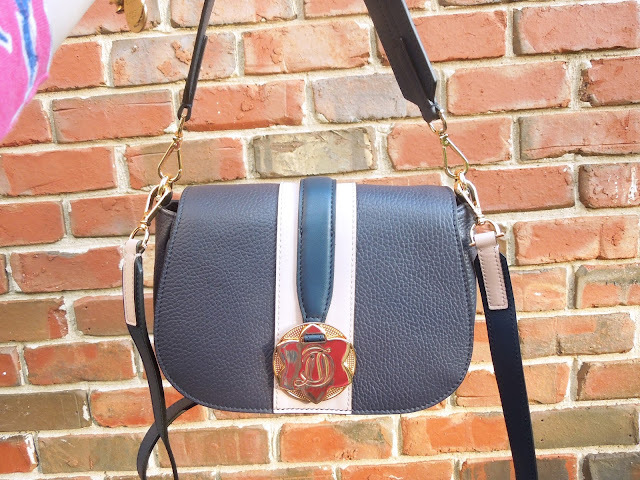 To keep the navy and pink theme going I wore my new navy Jack Rogers and my very cute new Draper James bag. This is my first purchase Draper James and I am in love with this bag. It's a great size, very nice leather for the price (I scored it on sale! ), and has adorable details. 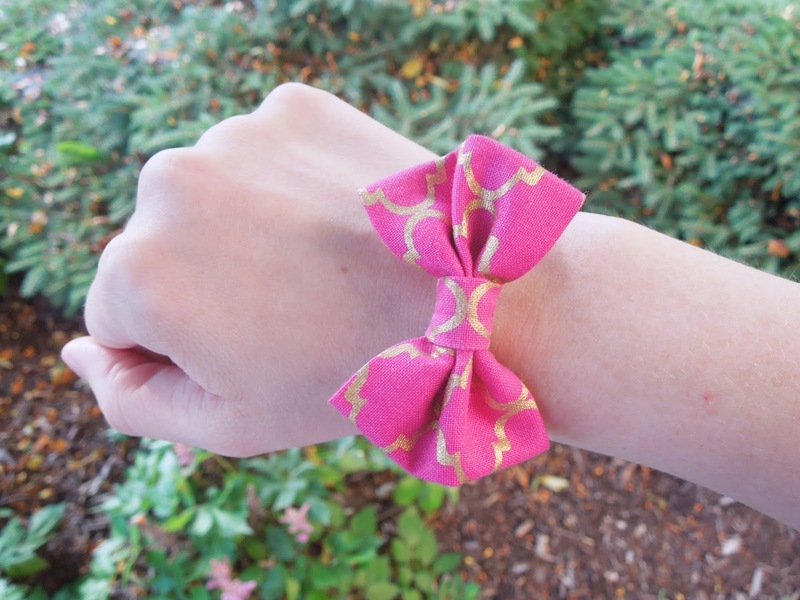 Another gift was this super cute KJP Vickers Bow bracelet. KJP is currently having 25% off their entire site! So, if you've been wanting items from KJP now is the time to buy. 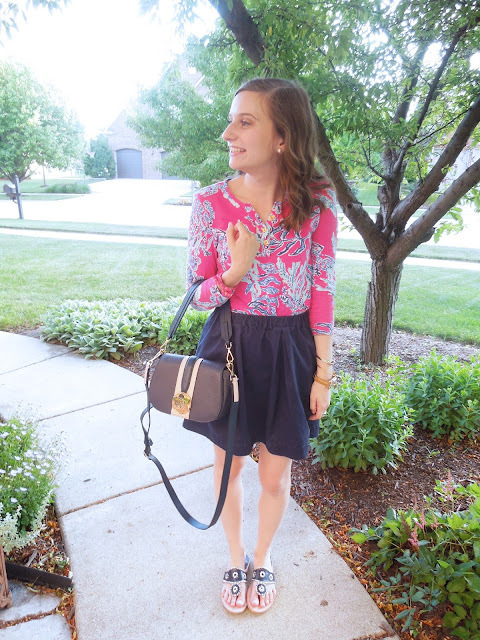 Navy and pink has been a favorite color combination for a while. I love that navy can be a more colorful neutral then just black. 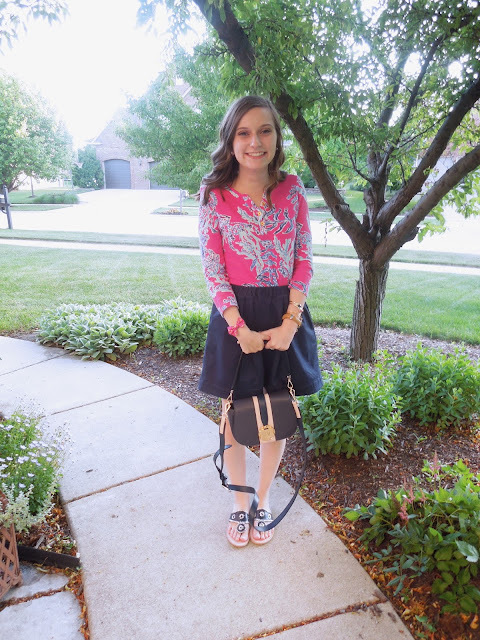 Also, pink and navy just seem to make the perfect pairing. 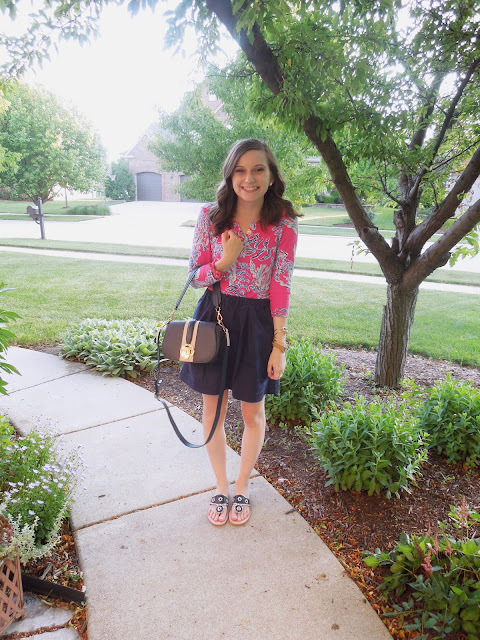 Pink is practically a neutral for me but it is nice to balance it out with a darker color even for the summer. What is your favorite color combination to wear? Let me know in the comments!